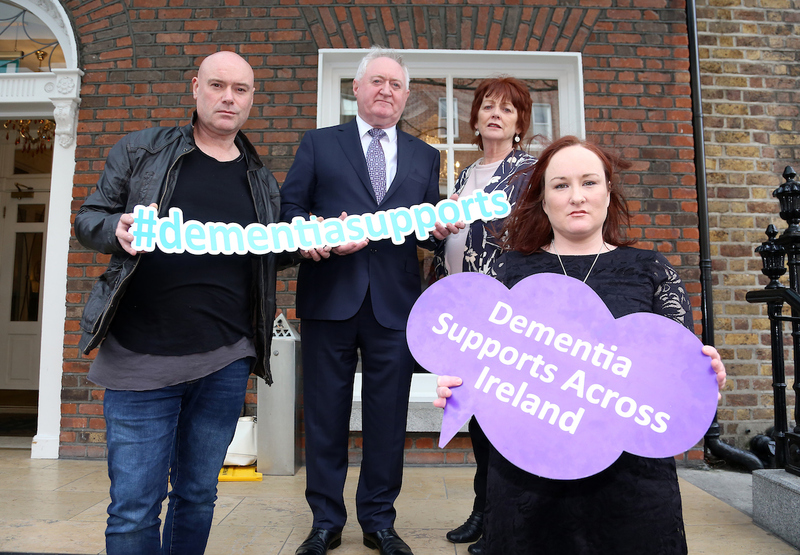 Dementia Carer Advocates Declan Cassidy, Theresa McMahon and Rachel McMahon with The Alzheimer Society of Ireland CEO Pat McLoughlin at the Emergency Dementia Summit in November 2018. The number of people with dementia in Ireland is expected to more than double over the next 20 years, from 55,000 today to 113,000 in 2036. Dementia is an umbrella term used to describe a range of conditions which cause changes and damage to the brain. Dementia is progressive. There is currently no cure. Dementia is not simply a health issue but a social issue that requires a community response. The majority of people with dementia (63%) live at home in the community. 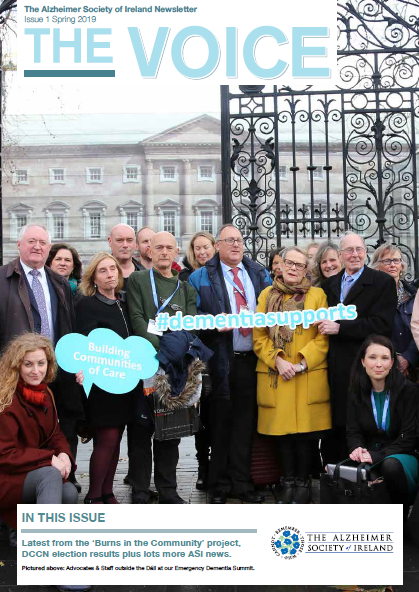 Over 180,000 people in Ireland are currently or have been carers for a family member or partner with dementia with many more providing support and care in other ways. Each year over 4,000 people develop dementia. That’s at least 11 people every day and anyone can get dementia – even people in their 30s/40s/50s. 1 in 10 people diagnosed with dementia in Ireland is under 65. Language is our most powerful means of communicating. Simply using the correct language engenders trust. Never is this more the case than the language we use when talking about medical issues – particularly Alzheimer’s disease/dementia. Media stories on Alzheimer disease/dementia contribute significantly to the public’s awareness and knowledge of the condition. Increased community understanding about dementia makes the step to seeking diagnosis or support so much easier for the many people with concerns about memory loss. The more that other people understand their experience, the better the quality of life for people living with dementia. Importantly, positive public images have a multiplier effect on tackling the fear and stigma surrounding Alzheimer’s disease/dementia and help make the issue one that people are more encouraged to acknowledge and address. By publishing these guidelines, the Alzheimer Society of Ireland is not attempting to police the language others use – it is merely intended as a guide for using language in a more sensitive manner that avoids reducing individuals with Alzheimer’s disease/dementia to a series of labels, symptoms, or medical terms. We hope it will promote consistency across the dementia care sector and be a reference for others to use. These guidelines are intended to highlight how words and language really do make a difference. Click here to read more about dementia friendly language.